Montrose Animal Hospital and Pet Hotel wants to work with you to provide the healthiest, nutritional choices for your pet! The food your pet eats is one of the most important factors in maintaining your pet’s good health. Proper nutrition is necessary for every organ system in the body to function. Maintaining your pet’s ideal body weight can improve his or her life expectancy. Many gastrointestinal ailments can be linked to inappropriate diets, and many skin problems have a nutritional component to them. 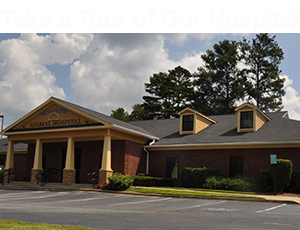 Montrose Animal Hospital and Pet Hotel Provides Comprehensive Nutritional Counseling. We will analyze your pet’s breed, daily activity level, eating and drinking behaviors, existing medical conditions, and current life stage to design and implement an appropriate nutrition plan for your pet. We aim to provide as much support and guidance as possible to allow pet owners to make informed decisions regarding diet. Determining the best choices grows more difficult each day due to the overwhelming number of available pet food brands and conflicting and sometimes misleading information online. We are here to assist our clients by clarifying what options are available. From the very first day you bring a new pet home through the final days of its life, your pet’s nutritional needs will change. For example, puppies require a higher calorie diet to provide the energy needed to grow, while a senior dog only needs a diet to maintain its ideal weight. Activity level also plays an important role in how much you feed your pet. Understanding your pet’s nutritional needs and your pet’s daily caloric needs will keep your pet at their healthy best. Life Stage Diets: Life stage diets are designed based on your pet's needs at a particular stage of life. During the aging process, your pet's body undergoes significant changes that can be influenced by diet. Pregnancy and nursing are examples of major life changes influencing dietary needs. We want your pet to live a long, happy, and healthy life, and nutrition is an important factor in achieving this! Prescription Diets: Prescription diets are formulated to meet the specific nutritional needs of certain illnesses and conditions. We offer a variety of prescription diets to help manage health diseases and conditions. Some conditions that benefit from prescription diets are diabetes, kidney disease, liver disease, obesity, arthritis, allergies, pancreatitis, and many more. Weight Management Diets: Weight management diets aim to maintain a lean body weight in order to help your pet live a longer, healthier life. We will help you choose the appropriate food to help your pet achieve and maintain the ideal body weight. If you pet is overweight, there are many things you can do to help him get back into shape. For some pets, feeding a diet formulated for weight loss and carefully selecting lower calories treats can help. Increasing exercise as appropriate for your pet may also be helpful. Most often, simply learning the correct volume of food to offer works wonders. Whether your pet has special dietary needs or simply needs to shed (or gain) a few pounds, our nutritional counseling services can help you accomplish your goals and keep your pet in good health. We carry a wide range of foods and nutritional supplements that will optimize your pet’s health!